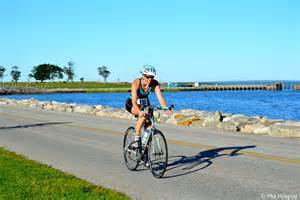 A favorite of first timers and experienced triathletes, Colt State Park is beautiful! You will be biking and running in the park alone with no cars! Colt State Park is often referred to as the 'Gem' of the Rhode Island State Park System. 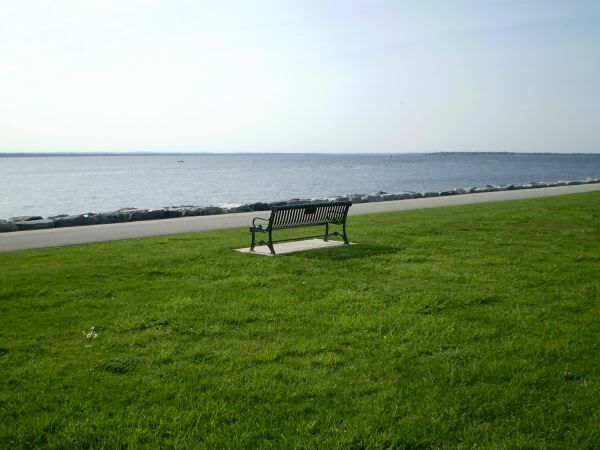 The entire western border of the park is an open panorama onto Narragansett Bay. Open year round, the park offers four miles of bicycle trails passing along the Bay and through 464 acres of groomed fruit trees, carefully nurtured flowering bushes, and manicured lawns. Rich in history, it proudly displays ten large playing fields, a historical museum, six picnic groves containing 400+ picnic tables, and its popular open air Chapel-By-The-Sea and you will see it all as you bike the park 3 times! Check out 2016 Wild Dog Triathlon video! All packet pick up is done race morning. We open an hour and a half before the start of the event. Emails will be sent usually Thursday prior to race with any specific details. 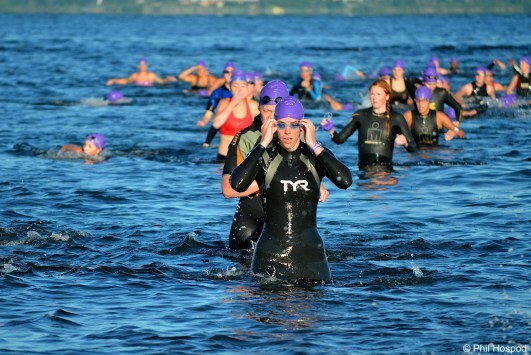 USA Triathlon age group divisions in five year increments are employed for this event, for example: 30 to 34 years, 35 to 39 years, etc. Age group is determined by age as of December 31, 2018. There is a Clydesdale category for men who weigh 220+ pounds and an Athena category for women who weigh 165+ pounds. There are also relay categories for three person teams. Awards are given to the top three finishers in each age group, and in the Clydesdale and Athena divisions, and to all three members of the top male relay team, top female relay team, and top mixed relay team. A random award or two may be given out at the race director's discretion. NBX Bikes from Narragansett, RI is the race site bike mechanic and on course bike support for this event. NBX will be available prior to the race to help with minor bicycle maintenance, and will be on the bike course for on the road mechanical support. CLICK HERE for more info on NBX. Vescio Multisport Performance Services provides coaching services, educational programs, and skills clinics for triathletes, cyclists, runners, and swimmers. We help athletes of all levels and abilities achieve their endurance sports goals. How about you? Contact us and join the thousands of people who have been Coached by Vmps.